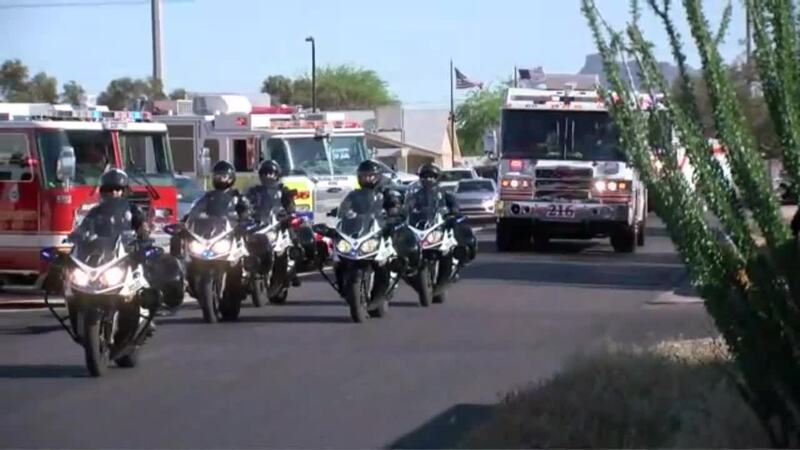 Mesa Fire and Medical Department said last week that Nikki Sullivan, a retired firefighter and EMT, passed away after a long battle with cancer. GLENDAL — A firefighter from the Glendale Fire Department paid a special tribute to Nikki Sullivan, a retired firefighter and EMT, who passed away after a long battle with cancer on April 3. For you all right next to me"
"She fought courageously for the last 5 years trying to beat this horrible disease and live to see her daughter grow up. She lost her battle...with friends and family surrounding her," Mesa fire officials said following Sullivan’s passing.